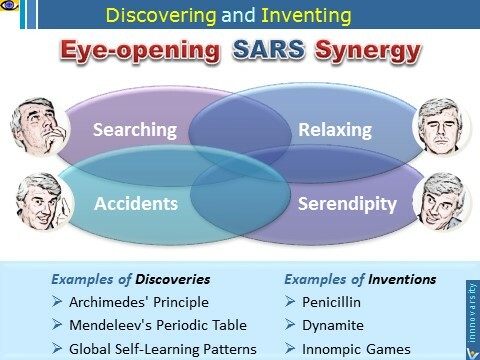 Most discoveries and inventions are a synergy of searching, relaxing, accidents and serendipity. The key is to know how to ideate both consciously and on autopilot, and to keep your eyes and mind wide open to new discoveries and ideas. Another great skill is knowing how to engage your subconscious mind because it works millions times faster. 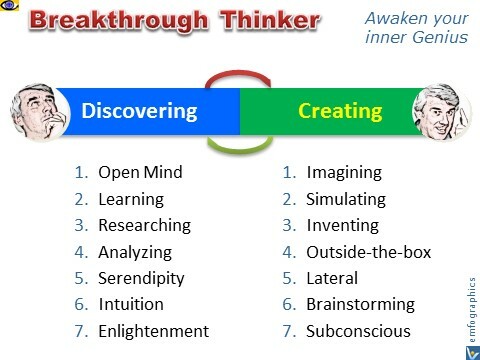 Having learned how to engage my subconscious mind, I started making new discoveries and inventions every night. ❶ I imagine the desired future that I passionately want to create. ❷ I brainstorm ideas for a while to show my subconscious mind that I’m serious about finding great creative ways to make that desired future a reality. ❸ I relax mentally or go to sleep. More often than not, brilliant ideas wake me up early in the morning. (Yes, I sleep much less, but I create and discover much more, and I prefer the latter). Build a supply chain of solution catalysts. Record and categorize all your sudden ideas and revelations. 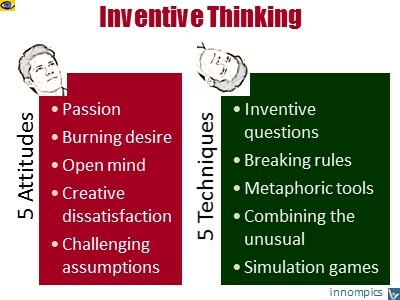 When you need to invent something, go through them ‒ first through relevant categories, then through irrelevant ones. And be ready to record a quick chain or a colorful fountain of spin-off ideas triggered by a synergy of previous relaxed ideation for fun and current need-driven creation "under the gun". In a dream I saw a table where all the elements fell into place as required.